Controller » Brewology - PS3 PSP WII XBOX - Homebrew News, Saved Games, Downloads, and More! Not a whole lot to say here. 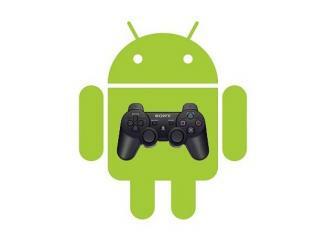 Sixaxis has developed an app for your Android phone that can enable you to use a PS3 controller on your phone, and the process is relatively simple at that. It doesn’t even require soldering! The app isn’t compatible with all phones though, you can download the Sixaxis Compatibility Checker that will let you know whether or not you can use the $1.65 app. Your phone will also have to be rooted. There’s not much to the process though other than running the SixaxisPairTool on your pc to get things up and running.